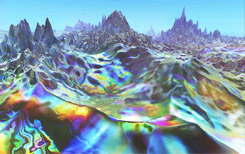 A rendering plugin-set visualizing the nature of light, especially phenomena by which day-light spectrum becomes visible. 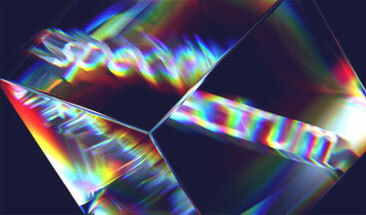 In particular, Spectrum offers a complex dispersion simulation, light diffraction, and lens aperture diffraction. Combining the best of both worlds - the art and the optics - this product allows artists to render visually impressive fictions, and engineers to simulate a wide range of real-world effects. The scope of various applications includes photo-realistic renditions, correct single-layer refractions, lens filters, chromatic aberrations, atmospheric effects, holograms, various psychedelic visions and more. "Spectrum and LightWave go great together, it is only natural.."
Gary Coulter / FuzzyGoat Ltd.